THE MINISTER FOR Communications, Energy and Natural Resources Pat Rabbitte said tonight that he would like to see “Eirgrid do everything it reasonably can to secure community acceptance”. EirGrid, the body responsible for the development and maintenance of the State’s electricity grid, is constructing a number of large overground pylons for electricity lines as part of its countrywide EuroGrid 25 project to update Ireland’s electricity infrastructure. There have been a number of protests throughout the country, with 1,000 people attending a public meeting in County Meath last week in opposition to EirGrid’s plans. In an address to the Energy Institute in Dublin this evening Rabbitte said “the government does not make arbitrary decisions directing where power lines are to be built or not built”. He said that the government “will not direct Eirgrid to particular sites or routes or technologies, government does require Eirgrid to take account of all relevant national and international standards, to follow best practice and ensure value for money”. Rabbitte said the government has full confidence in the competence, professionalism and technical abilities of Eirgrid and in the impartial discharge of their onerous functions. … The engagement between company and community must be reasonable and must be tempered by what constitutes the public interest. However, no Government can walk away from its responsibility to provide the country with a secure energy supply. Nor can any Government wantonly inflict unnecessary costs on energy consumers to allay concerns that are not well founded. Rabbitte said that people need to understand that Ireland cannot attract investment and provide jobs without a modern energy system. 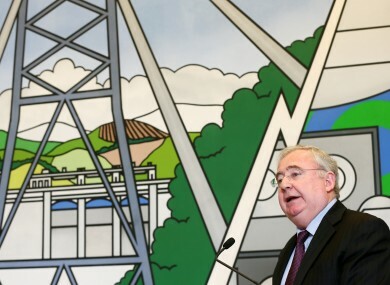 Email “Rabbitte: ‘I want Eirgrid to do everything it can to secure community acceptance’”. Feedback on “Rabbitte: ‘I want Eirgrid to do everything it can to secure community acceptance’”.